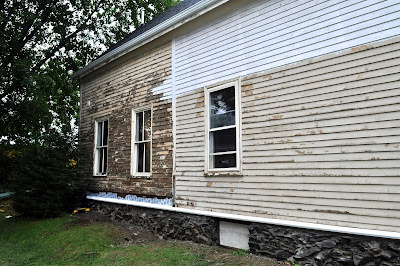 When we bought this house, we knew that it desperately needed painting. Paint was flaking heavily in some places and was down to the bare wood in others. The previous owners said they painted in the 80's, but it hadn't been done since then. And that was some good news - the laws changed in 1978. After that, paint could no longer contain lead. We were hopeful that there wasn't lead paint underneath. But hope wasn't enough. 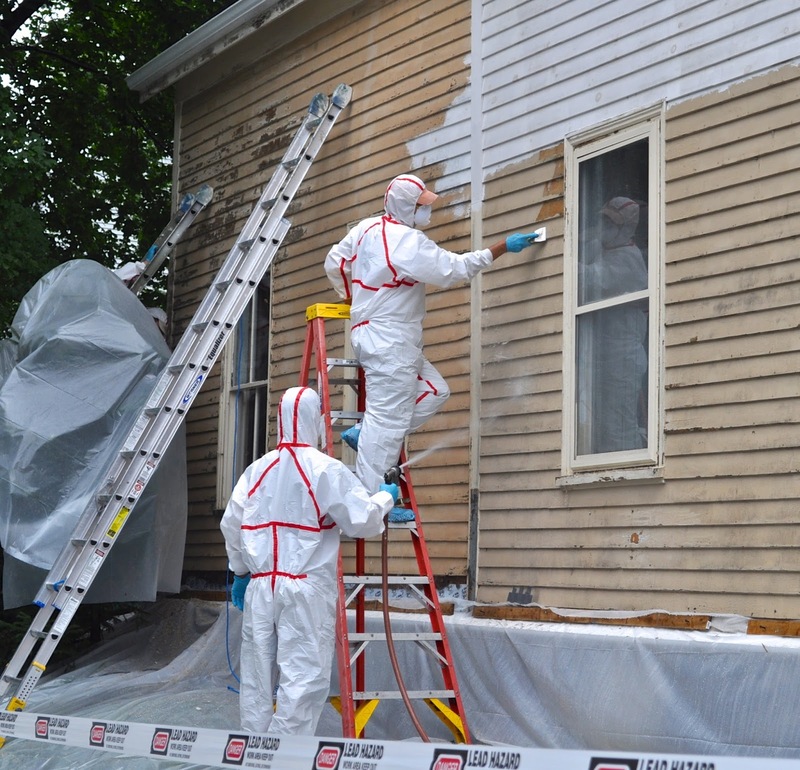 While some areas of the siding didn't test 'red' for lead. 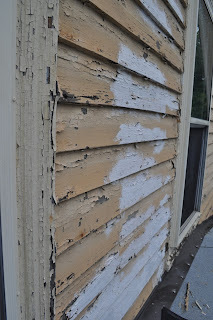 The front of the house with the most flaking showed a deep scarlet (even a hint of pink means lead paint exists). What does that mean? 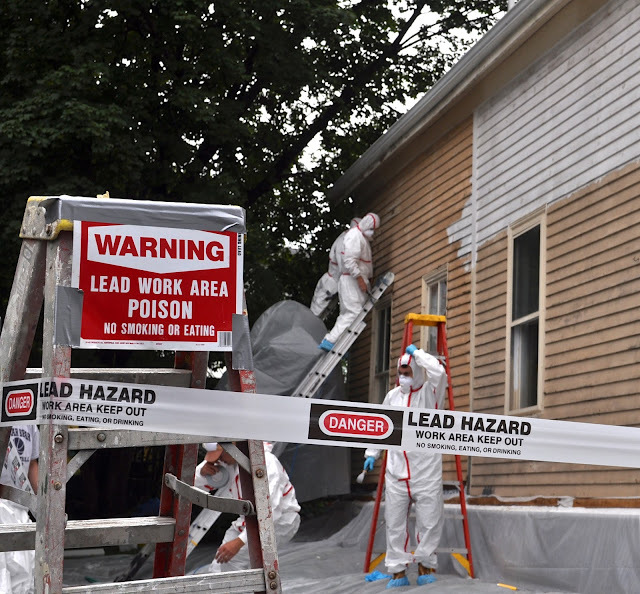 Well, per Federal law, all contractors that disturb painted surfaces with lead paint need to be certified and follow specific practices to prevent lead contamination. We want to make sure we're following all the EPA lead safe rules. And this means a major departure from typical paint practices. For example, you can't power wash the house (the typical first step). You can't use power scraping methods, everything has to be done by hand. And you can't use basics like sandpaper - the biggest contamination danger comes from lead dust and paint chips. We started the hunt for a painter. 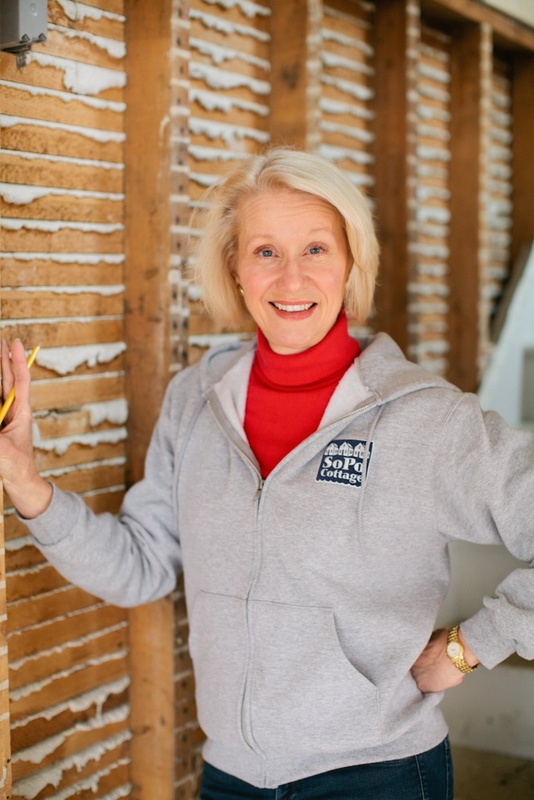 We quickly discovered that most painters simply don't want the hassle of working with lead paint. It took a lot of phone calls and networking to find someone with the right training and certification. But we were thrilled to find Andy Lavalle. Andy has been certified to deal with lead and ensures his crew utilizes the right approach. 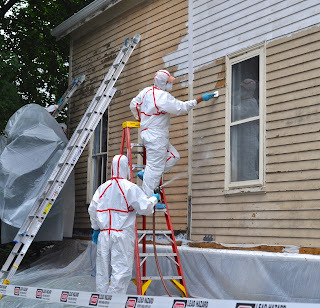 We signed the contract to get started, but also signed the EPA notification that this was a lead job and we would be following all safety practices. 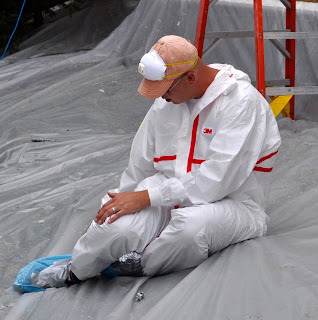 The guys all wore PPE, including protective suits & booties - they also duct taped over their shoe laces, to make sure no dust contamination occurred there. And of course they wore masks and gloves the entire time. 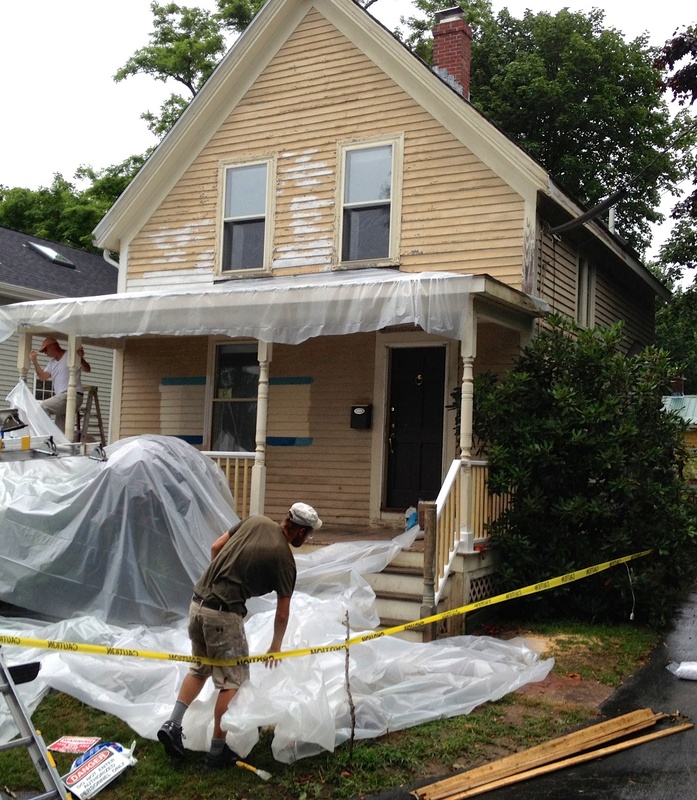 They worked on a rainy day, but constantly sprayed the house with water, to minimize any flaking or dust. With 5 guys, they made quick work of the scraping. And as you can see, a lot of paint needed to be scraped off! 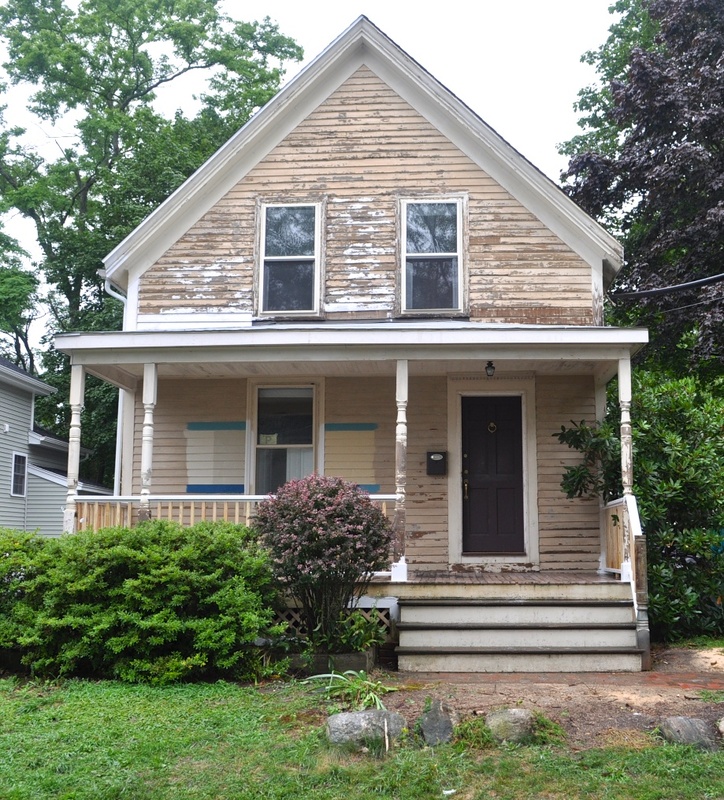 Front of house - ready for paint! At the end of each day, they had to carefully wrap up all the debris and put it in a clearly marked bag. 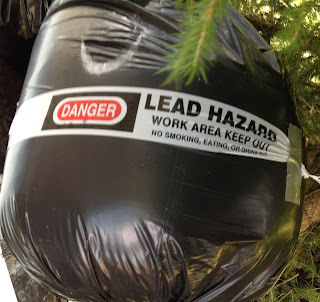 It had to be taken to the land fill and identified as hazardous waste. The area had to be vacuumed with an EPA approved HEPA vacuum. And the final step - another certified contractor has to come review the site to ensure it meets all the EPA requirements. That contractor will also have to sign off on the job. What did it cost? Well, as you can expect, it's considerably more expensive. But we also have the peace of mind, knowing we did the work the right way. Ultimately, this will be a much safer home for the new owners. And as long as they keep the paint in good repair, they shouldn't have to go through these steps again. Oh - and the winner of the paint color choices (see pick the color post) is 'left'. When I tallied all the Facebook and Blog input, it was the clear winner. And the neighbors seem to like it too! Paint Colors: Sherwin Williams - Relaxed Khaki, Oceanside and Timid Blue (for the front porch ceiling). We will have pictures of the newly painted house posted soon! That is such a cute house. Can't wait to see it finished. 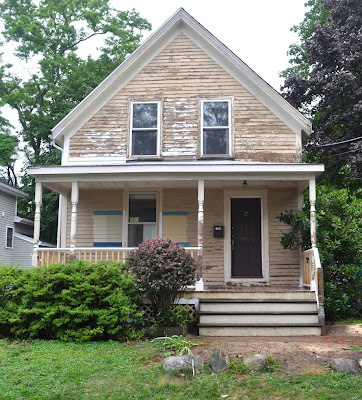 Choosing Exterior Paint Colors - Help Needed!